What is a Giant House Spider? Also known as the greater European house spider, the giant house spider is the largest arachnid of the Genus Tegenaria. With exceptionally long legs, the giant house spider is known to reach up to 18mm in size. Specimens are most commonly brown in color, with a pale mark at the middle of the breastplate. On each side of the breastplate, four small circles are arranged longitudinally. It was also once believed to be the world’s fastest spider, although the African Solifugids has since been identified as the faster of the two. On a flat surface, giant house spiders are known to move at velocities of 1.73 feet per second. Giant house spiders are native to Europe and were introduced to North America via Vancouver Island in the 1920s. Coastal regions and beaches are most susceptible to giant house spider infestations. 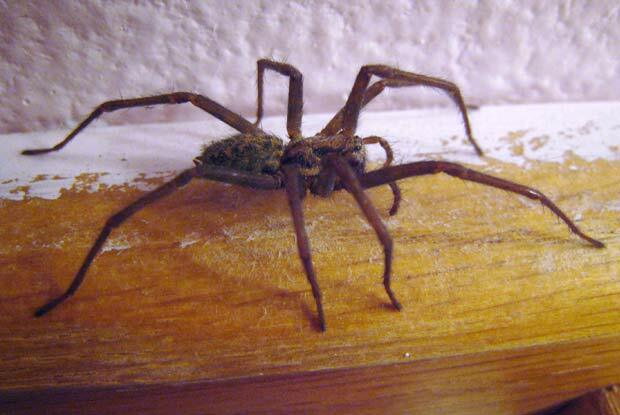 From Canada, the range of the giant house spider has spread east and north. These arachnids can be found from the Georgian lowlands to the Cascade Mountains. Giant house spiders reside in flowerbeds, woodpiles and other sheltered, outdoor areas. Inside, they can be found in dark crevices and basements. In feral conditions, giant house spiders are found near shorelines or woods, where they dwell beneath driftwood, logs and rocks. Give us a call today at 503.720.8559 to learn more about Giant House Spiders or to schedule an inspection!